This is part of a series on the genes involved in phase I and phase II detoxification. CYP1A1 is a gene that codes for an enzyme that breaks down (metabolizes) a few different substances. It is involved in the metabolism of poly-aromatic hydrocarbons (PAH) in the intestines, thus playing a role in smoking-related cancers from the activation of the aromatic hydrocarbons. Aromatic hydrocarbons are also found in wood smoke, vehicle exhausts, asphalt, and charred meats. 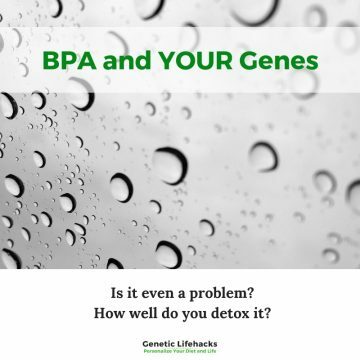 In addition to toxins we may breathe in or eat, CYP1A1 is also involved in the metabolism of estrogen – specifically 17β-estradiol – as well as arachidonic acid and DHA (fatty acids). 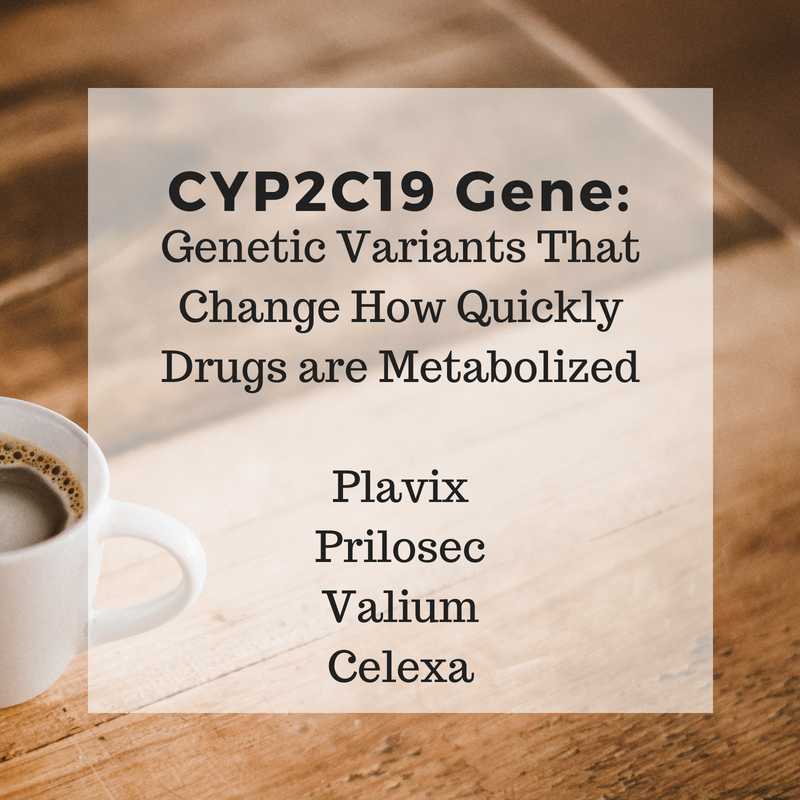 There are several genetic variants of CYP1A1 that can change the speed at which your body will metabolize substances. Increased CYP1A1 metabolism can cause the buildup of the intermediate metabolites if your body can’t get rid of them fast enough through phase II metabolism. Recap: CYP1A1 breaks down aryl hydrocarbons (in cigarette smoke), turning it into an even more carcinogenic compound. Genetic variants that speed up CYP1A1 create the carcinogenic metabolites faster than the body can get rid of them, thus increasing cancer risk. A Chinese study showed that the CYP1A1*2 polymorphism had a lower risk of breast cancer. Another study showed that those with CYP1A1*2 have more of an inhibition with natural polyphenols than those without the polymorphism. Diet plays a role here as well. A study found that those with the CYP1A1*2 variant had a greater reduction in colon cancer risk with a diet high in polyphenols (found in veggies and fruit) than those without the variant. 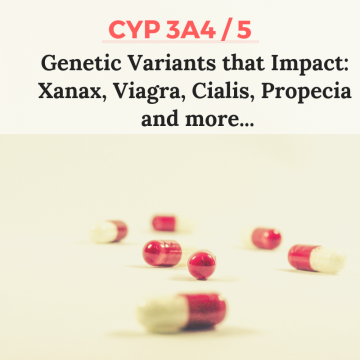 The CYP1A1*4 variant has a somewhat increased enzyme activity. Some studies show it to be protective against certain cancers, and other show it to slightly increase risk depending on the population. [study] [study] One reason for the conflicting studies may be because it is fairly rare to have a homozygous (T/T) mutation, and the percentage of heterozygotes (G/T) in Caucasian populations is less than 10%. Those who have a CYP1A1*2 allele are likely at a higher risk for lung cancer and really, really should not smoke. So if you need yet another reason to stop smoking, this would be a big one. CYP1A1 is inhibited by several natural polyphenols including St. John’s Wort, I3C, and resveratrol. [study] Foods containing I3C include broccoli and other cruciferous vegetables. Resveratrol is found in grapes and red wine as well as in supplement form.